Upon docking into the Tap Mun pier, I was presented with a sight much contrasted to what is accustomed to one daily bathed in its plethora of urban development. A multitude of boats surround the pier, here, one is able to take transport to the neighbouring islands of the Sai Kung peninsula. A couple steps onward the Fisherman’s village and the scented air of a rural community my lungs. Local sellers of dried delicacies align themselves along Tap Mun Hoi Pong Street to the left. In addition, a number of restaurants offering what the island is famous for, “Iceless Ice-cold Milk Tea”, and “Sea-Urchin Fried rice.” For the sake of having the joy of ones eyes over the satisfaction of one’s stomach, we’ll come back to that later. Taking the route further on, the Temple situates itself on the right, an elaborate gate above the stairs to welcome one to the Tin Hau Temple, built in 1737, and classified as a Historic Structure. At any time during the day the courtyard is teeming with both locals and tourists from beyond for the casual worship and thanksgiving. Well-preserved, respected, and maintained, these temples are essentially the backbone of Buddhism on the island. As a result, the Grass Island is known to hold particular festivals throughout the year; such as Guan Yin’s birthday, held on the 19th day of the second lunar month, where a multitude of fishermen arrive on the island to pray for peace and calmness. On the other hand, the Tin Hau Festival is also held every 23rd day of the third lunar month, wherein a marine parade is held every 10 years as well in celebration. Beyond the temple to its left presents the path higher up the island. Several infrastructures, both aged and modern, gather themselves up the hillface as residentials for the few locals residing in Tap Mun. Streetsigns make it convenient to navigate around the climb, where taking the wrong path is normally greeted with an agreeable dead-end. Halfway up, the greenery begins to triumph over the struggling modernisation in the island, and an exuberance of flora and fauna embraces one’s views; aside from the frequent tour group or the occasional cow being escorted back up top its natural habitat. Two hours travel time, three transport interchanges, and the possible detrimental treatment of the monsoon-climate, the Hilltop Pavillion, Hong Kong’s biggest lawn, and one of the most picturesque campsites in the entire world situates itself up up the path; where one would understand why it’s worth moving mountains and crossing oceans for. A herd of docile cows and feral cattle call this mountaintop home, and are often subject to periodic photoshoot from tourists. If the weather proves less friendly, be advised that the slope, albeit stable, is slippery, and it isn’t hard to end up rolling down Coyote-style from the road runner, so take utmost care, and take in the raw untainted air from the Sai Kung pensinsula, and the myriad of colours that call the horizon its canvas. Being a campsite pavillion, one can setup a tent and take a night if one wishes. A little further on and one can head further up the island’s tallest peak through a quaint set of stairs through some undergrowth. Looking back 6 o’clock from going up and the view still fails to disappoint. Beware in the spring/summer season, where in the context of this island is completely synonymous to spider season. Keen to see the postcard material views in a different angle? Kill two birds with one stone by taking the path to the Balanced Rock, another of the unique sights the island has to offer. Head back down and follow the straightforward sign through the other side of the island. The chicken-legged need not worry, as the trek itself is quite the compensation for the missed out leg-days with your already-apprehensive gym trainer. Climb the stairs, greet a couple fellow tourists, and ofcourse, take a moment to stop and sink the million-dollar spectacle that surrounds you. Through this area are normally a couple more campers getting cozed in for a breezy night, as well as the occasional grazing cow. And alas’ the Balanced Rock, an interesting sight as it’s basically two neatly stacked rocks approximately 6 metres high, surviving through the ever-so-indefinite weather of the equatorial subtropics I call home. According to resources the Balanced Rock is where the origin of the name “Tap Mun” comes from. The rocks resemble a stupa, and in context of the nearby cave that opens to the bay like a door, the island was then called “Fat Tap Mun”. This was later shortened to the Tap Mun we know today. Once you’ve taken enough shots of the area to your heart’s content, the path back to the village is straight ahead, unmistakeable through the road signs and the singular paved path along the hills. Follow the view of the awe-inspiring horizon towards the new-fishermen’s village. If you cross paths with a couple gravestones and worship sites then you my friend, are going the right way. At some point, you begin a descent in altitude through a couple stairs back down and next thing you know you’re back at sea level. and civilisation. A paved and barriered walkway is clear sign of how close you are to the village. Take it from me when I say that timing this walk back to the sunset is an undeniable stunner, and easily taken beautiful camera-fodder as the skies become encapsulated with a streak of orange along the horizon, best complement to the flora and the peninsula surrounding said walkway. Beyond the path, the New Fisherman’s Village. Population: approximately 100 (according to wikipedia), and probably a giveaway but, most of the population is involved in the trade at sea. On the other hand, most of the families’ youth have moved out to work in the city, causing the population outflow from the peak 2000 residents once upon a time. Proper infrastructure providing basic necessities are built to cater to the islands’ residents. A pat on your back, and honour to the fam, you’ve made it through Hong Kong’s biggest lawn! I once mentioned about the joys of one’s stomach, so once you’ve gone through the local village, make your way to one of the islands’ restaurants and give their famous delicacy a try: Sea Urchin Fried Rice! Often mentioned along the phrase “an aquired taste”, the sea urchin is actually well cooked, providing just the decent amount of salt to one’s tongue, an absolutely delight with the fried rice after an hour and a half hike. Albeit on the pricy side of the menu, it’s an optional, but must try as it remains unique on the island! Or if you’ve missed the rest of the ferries, a water taxi, although less frequent, invites passengers and takes you directly to Wong Shek pier for a decent 20 HKD. The same bus 94 takes you back to Sai Kung! and that concludes our Grass Island adventure! 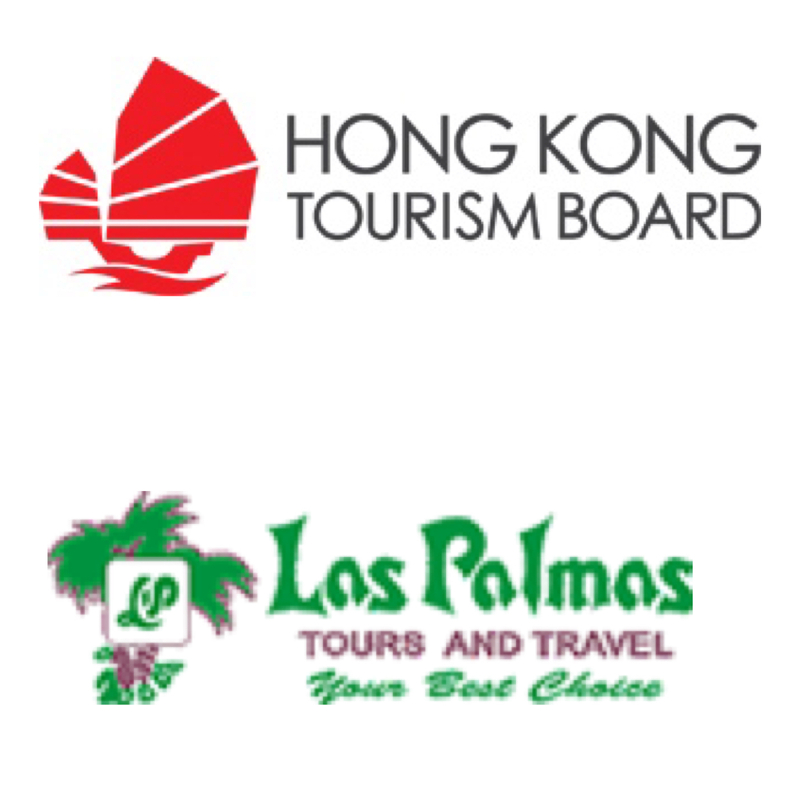 For such an excursion I have the Hong Kong Tourism Board, as well as Las Palmas Tours and Travel, to thank and appreciate. When planning your little Hong Kong adventure, it’s best to explore Las Palmas’ fantastic deals to Asia’s World Country, and see breathtaking sights such as these! In attempt to further induce you to take the adventure, walkthrough my footsteps and catch a glimpse of this island in 1080p HD! Photos are property of VoyagerZulu.com unless otherwise stated. Big Man upstairs having such a breathtaking heritage site exist.